Fish are for good luck! This teal fish charm is none slimy, but way lucky. 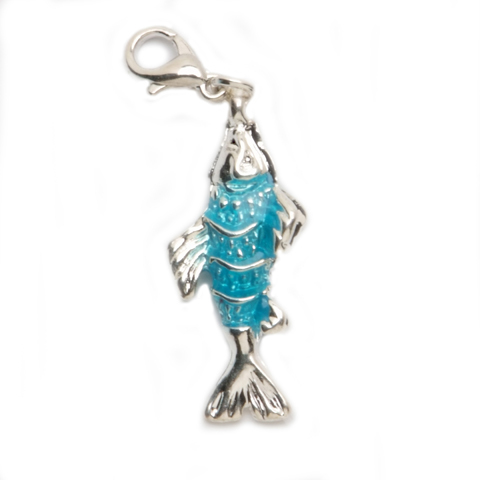 The lobster style clasp, silver fish charm is metal, features a translucent, blue-green enameling that covers an embossed texture to create the illusion of fish scales and measures .5 inches wide and 1.25 inches tall.